It was a heat filled 37C temperature. With the aide of concrete and glass, it was probably even hotter. The glass tower reflected more than just the old brick architecture. 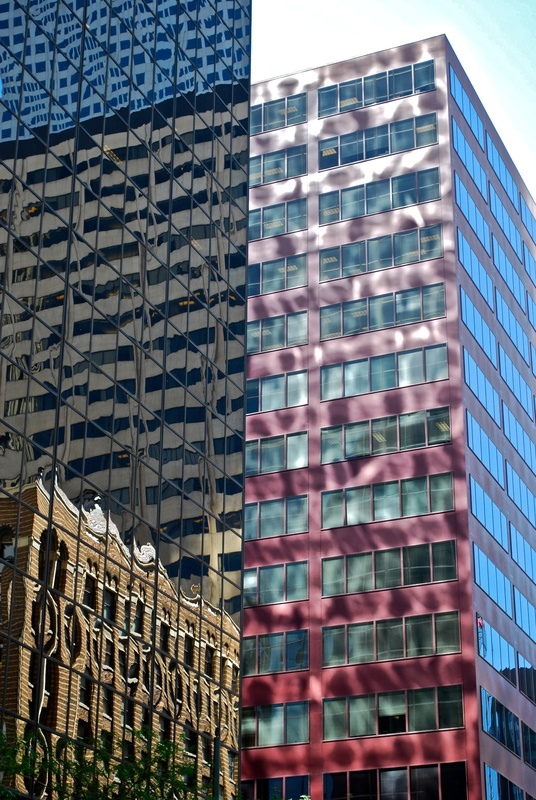 It reflected rays of light against a modern building.